If your heart isn’t beating at the right rate or rhythm, doctors have several options to help you. Pacemakers and defibrillators take over pacing your heartbeat when heart disease and other conditions play havoc with heart rhythms. Normally, electrical impulses generated in your heart stimulate the heart to contract. This moves blood through the heart, to the lungs, allowing oxygenated blood back in, and then forcefully pumps it out to your body and brain. If the electrical impulses are interrupted for any reason, the heart rate can go too slowly and that may make a pacemaker necessary. If the electrical impulses disorganize, the heart may go too rapidly and require an implantable defibrillator. What are pacemakers and what do they do? A battery-operated control unit (pulse generator) usually implanted under the skin in the chest area. Lead wire(s)that are threaded to the chambers of your heart and attached to the heart muscle that detect the heart rate and deliver small pulses of energy from the pulse generator to the heart. Coordinate the heart beats so that the top and bottom and left and right chambers beat synchronously. This may help some people with advanced heart failure. Why are there different types of pacemakers and different numbers of lead wires? Single chamber. One lead attaches to the upper or lower heart chamber. Used in specific rhythm disorders. A leadless pacemaker is a new technology that is being researched to treat slow heart rhythms without a lead. Dual chamber. Two leads are used, one for the upper and one for the lower chamber. Biventricular pacemakers (used in cardiac resynchronization therapy). These use leads attached to three places – the top chamber, and both lower chambers (right and left ventricles). What is a defibrillator and what does it do? Implantable Cardioverter Defibrillators (ICDs) are devices that send a strong “reset” signal to your heart when the bottom chambers of your heart (ventricles) are beating very fast or erratically. These ventricular arrhythmias can occur without warning and are often fatal. Almost 95 percent of all people who experience cardiac arrest die before ever reaching a hospital. Save the lives of patients who have fast ventricular arrhythmias. Patients who have significant damage to their hearts after heart attacks or poor heart muscle function due to cardiomyopathy. These patients are at greater risk for dangerous ventricular arrhythmias and benefit from ICD implantation. Do some patients need both a defibrillator and a pacemaker? Yes. Some patients receive a combination pacemaker and defibrillator. For patients with heart failure, a combination biventricular-defibrillator device helps the heart to pump blood more forcefully. It also protects the patient against potentially fatal arrhythmias. For others, the defibrillator protects against life threatening arrhythmias and the pacemaker backs up the heart rate if it gets too slow. Are pacemakers and defibrillators just for old people? No. Dangerous rhythm disorders can affect young people too. 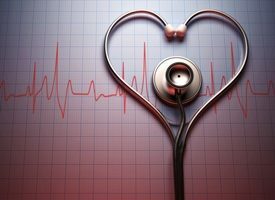 When athletes collapse on the field after practice, the culprit often is some form of heart rhythm abnormality. In both cases, the defibrillator can detect when the heart starts to quiver or beat erratically and reset it, saving the patient’s life. In order to determine what type of device is appropriate for you, your cardiologist will order tests to determine what type of rhythm disorder you have and if you need treatment. Are MRI Scans Safe If You Have a Pacemaker or Implanted Device?